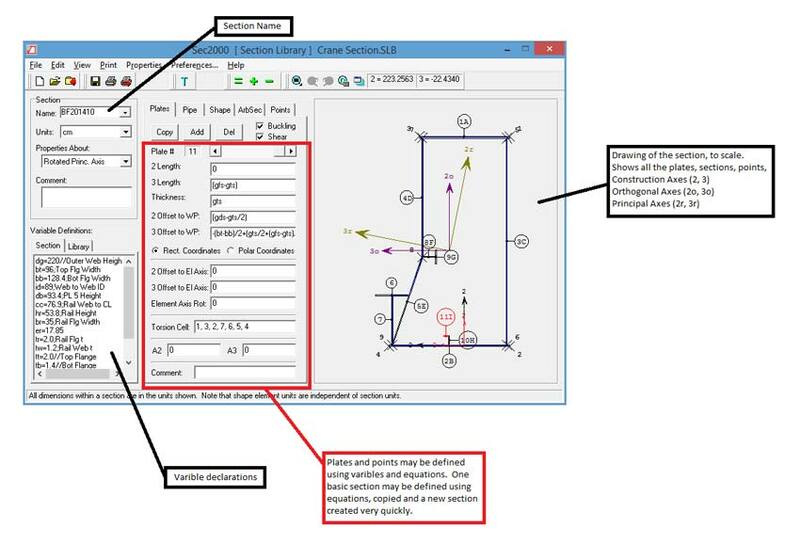 CP&A has developed a suite of computer programs that all work together to permit engineering designs to be completed efficiently. We have used the custom software to design all types of cranes, bulk handling equipment, buildings and other structures. We have written custom software for Excel to write input files and to read the database files from finite element programs. 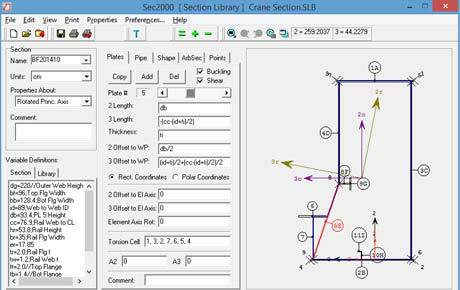 SEC2000 is an interactive environment to create and modify frame element sections. SEC2000 stores each section by name in a library. Sections may be defined using equations and variables. 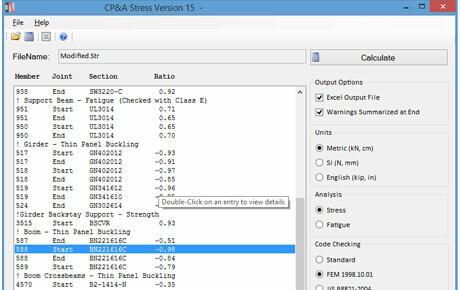 CPA/STRESS & FATIGUE calculates stresses and fatigue damage on sections for different load combinations. CPA/STRESS & FATIGUE combines constant loads, variable loads, lateral loads in two directions, and angled loads (i.e. wind) from the worst angle. 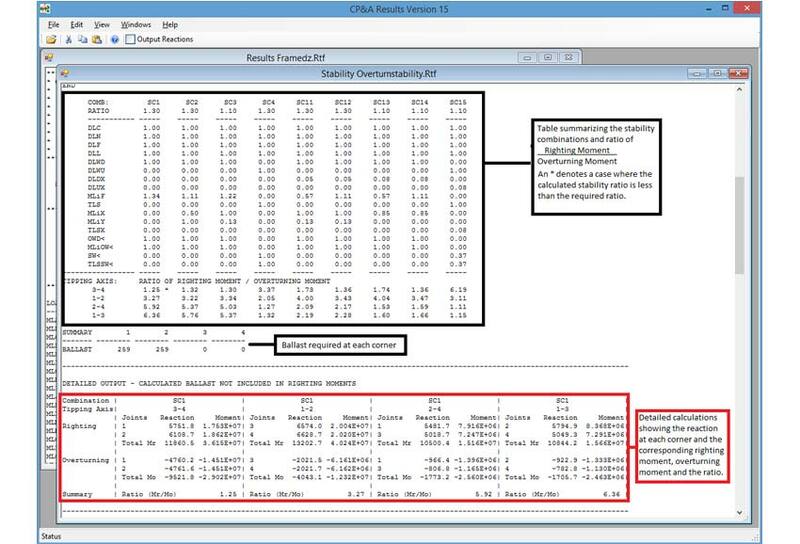 A combination table file defines how the analysis loads are combined. Combination tables are used to define the load combinations to be analyzed to calculate the maximum stress and fatigue damage. 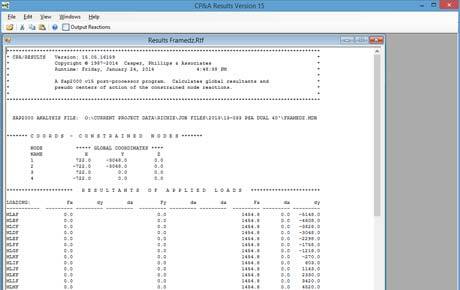 CPA/STRESS summarizes the governing load combination, the governing point or plate and the maximum stress ratio. 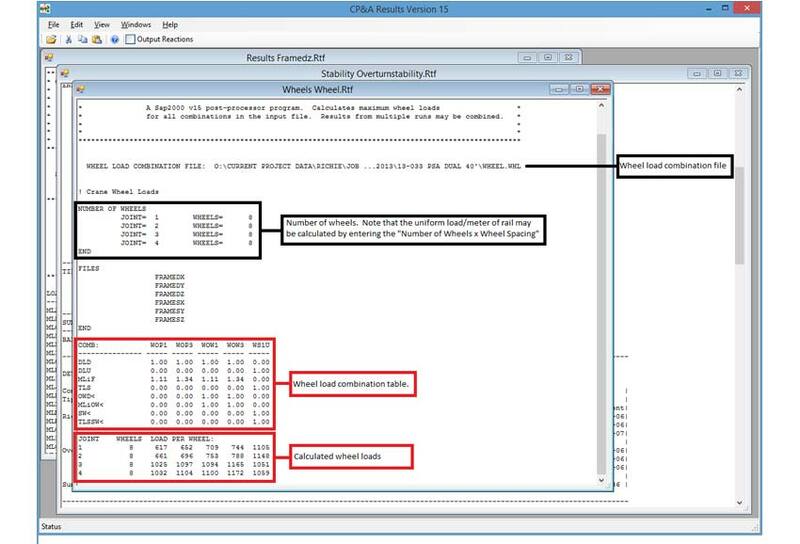 Complete stress output is written to an Excel file. CPA/BUCKLING checks thin panel plate buckling. 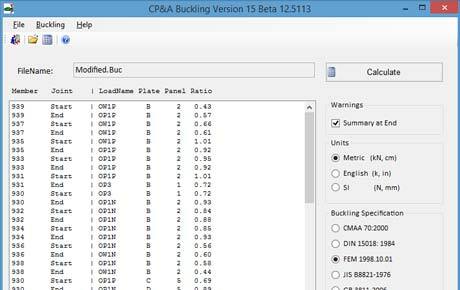 Buckling may be checked either manually (checking of individual plates) or by using file input (checking multiple members and plates). 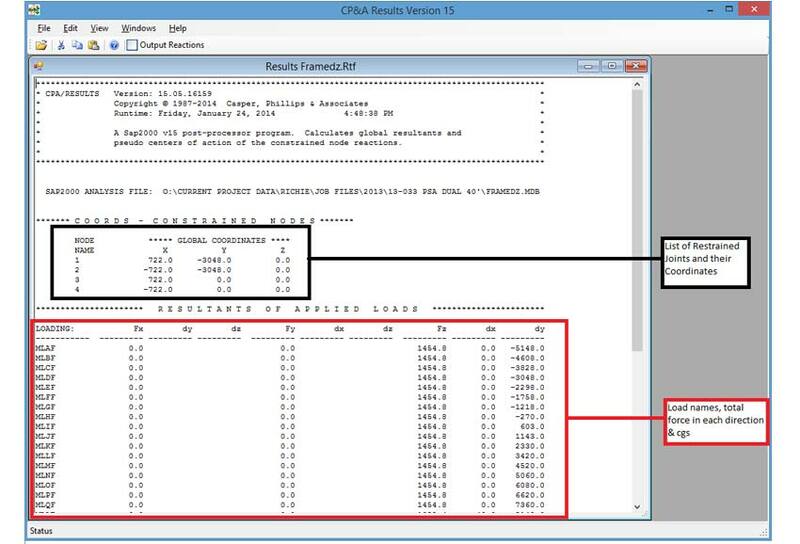 CPA/BUCKLING reads stresses from CPA/STRESS binary output file.